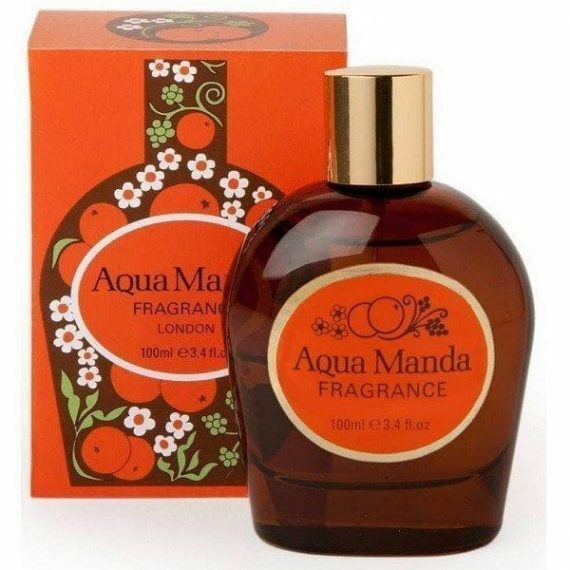 Aqua Manda is a signature scent of the brand that is nostalgically vintage and reminds us of the classic styles of the 60s and 70s. It is an aromatic spicy perfume composed of Mandarin, Ginger, Lavender, Patchouli, Cinnamon, Eucalyptus, Tarragon and Juniper berry. The most predominant note is Eucalyptus and the perfume is moderately lasting. The fragrance was originally launched in 1947 and has been revived in 2013. It is available as a 30ml purse spray bottle or as a full size 100ml spray bottle in the same classic vintage style.